I saw him but once, and I can visualise him as he then was – a big broad shouldered robust man, determined in face and of character; the very type to engage in exploring work, not as a follower, but of a leader of men. As Will Ogilvie’s poem suggests ‘The men who blazed the track’ were highly revered. Welsby, a timid youth of 22, had asked Landsborough particulars about climbing the Glass House Mountains near Caloundra where Landsborough had been living. Later he re-lived this experience, scrambling up Crookneck (Coonowrin) and discovering Landsborough’s name and the year 1872, firmly etched into the inner recess of a cave. 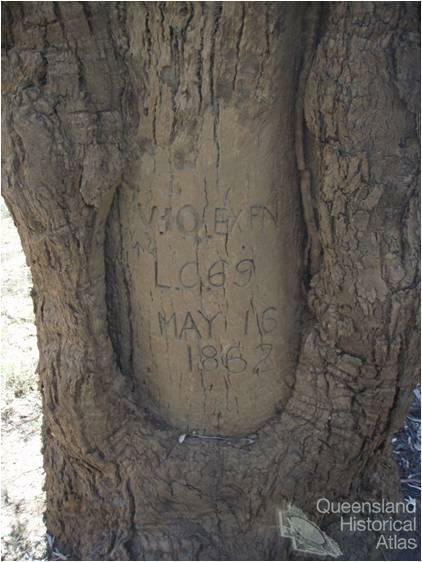 For Welsby, the engraving had come from Landsborough’s ‘pioneering instinct’ of tree-marking his camps, reminding him of their first meeting years before, when Landsborough remarked that Crookneck will be climbed one day. 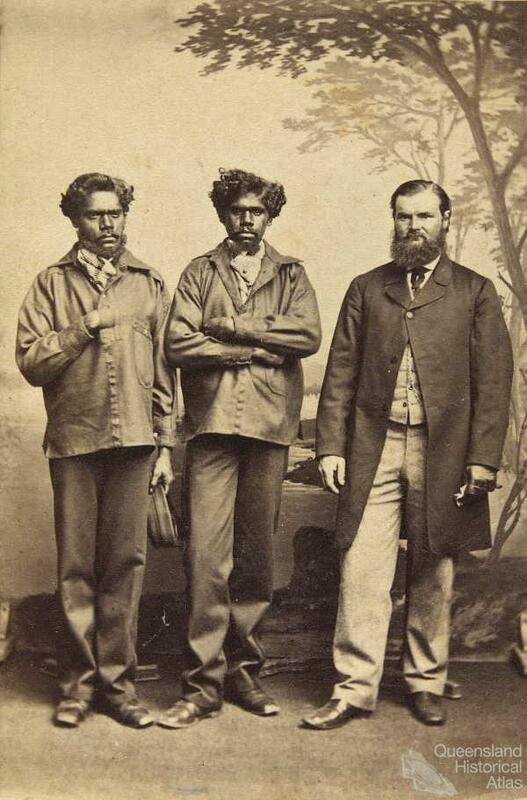 Landsborough explored central and north-western Queensland, though is perhaps better known through his involvement in the Burke and Wills relief expeditions that sought to uncover the whereabouts of those ill fated, trans-continental adventurers. In 1861 he was commissioned by the Queensland and Victorian Governments to lead a search party from the Gulf of Carpentaria, southwards. While Alfred Howitt’s party from Melbourne eventually discovered the lone survivor John King and that Burke and Wills were both dead, Landsborough’s expedition contributed to the development of geographical knowledge that would later encourage pastoral settlement. 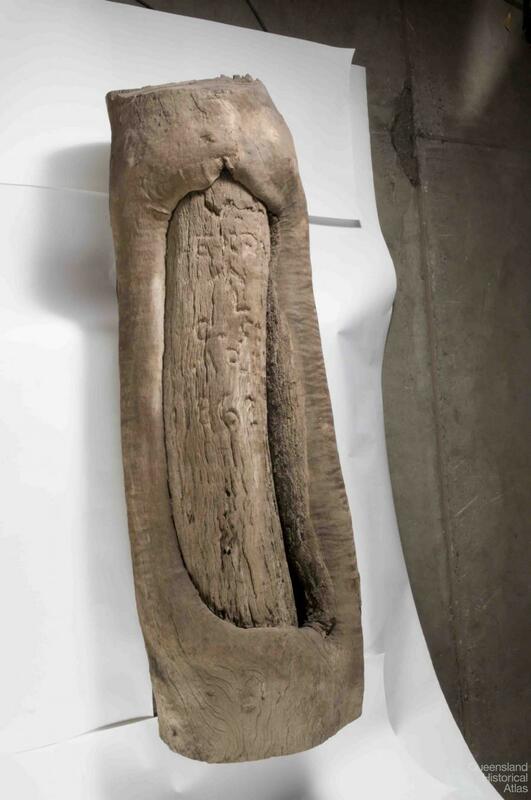 The practice of blazing trees that marked explorer’s journeys has often formed the focus of historical curiosity. 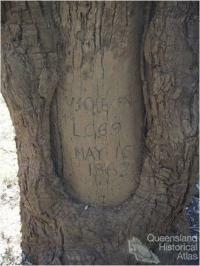 Speculation over Leichhardt’s blazes circulated many years after his disappearance in 1848, while Burke and Wills’ ‘Dig Tree’ is one of the most profound symbols of their tragic saga. Returning to Coopers Creek from the Gulf, Brahe’s depot party blazed a tree with the instruction ‘dig’. A small cache of supplies was buried with a letter revealing they left only hours earlier. However, Burke and Wills and the remaining camels were too exhausted to follow. They later perished trying to live off Nardoo seeds while King survived, accepting gifts of food from local Aboriginal people. 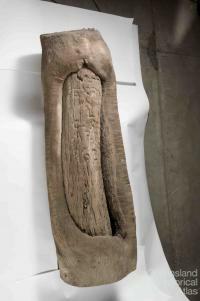 Landsborough’s journey may lack some of the romance of these expeditions. However, the trees that still bear his inscription remind us of his presence in the landscape, providing a tangible connection to the events that surrounded his journey. 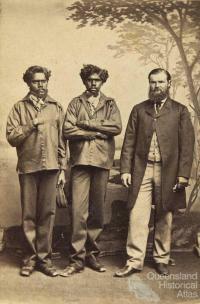 During his search in 1862 Landsborough visited the Warrego River, following the footsteps of Edmund Kennedy some seventeen years earlier. By 1862 pastoralists had crossed from the Darling River occupying the Warrego up to approximately 27° 38΄ where Landsborough came upon the first station and heard the news of Burke and Wills. He was later shown one of Kennedy’s blazes ‘K XXI’, though it appears that neither this nor any others remain. There are however, two trees blazed by Landsborough, still growing on the banks of the Warrego. 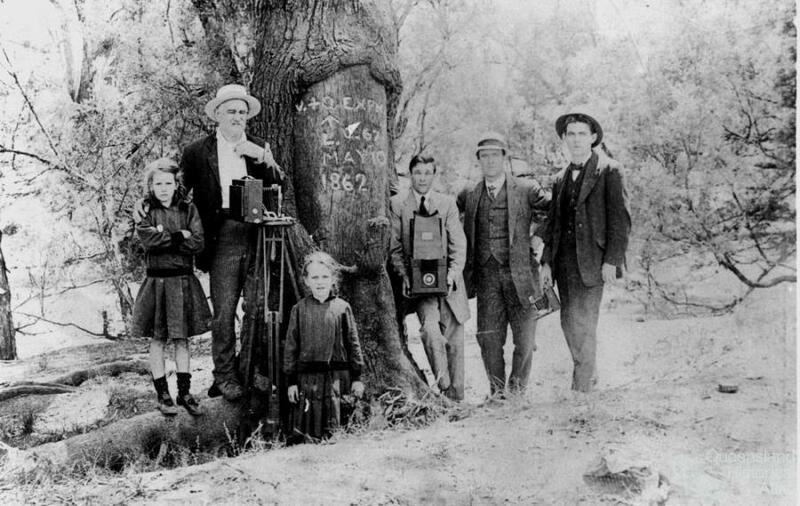 The presence of Landsborough’s trees is recorded by early maps, probably due to the speed at which land was occupied by squatters. 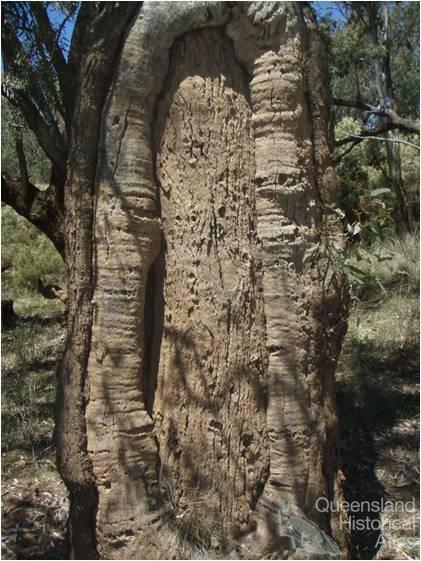 Near Charleville, Landsborough noticed an unknown marked tree and evidence of stray cattle suggesting squatters were actively prospecting. The following year, an extensive survey was complete marking out pastoral blocks. This survey included the locations of Landsborough’s Camp 66 just north of Charleville, and Camp 67, near the junction of the Ward and Warrego Rivers. 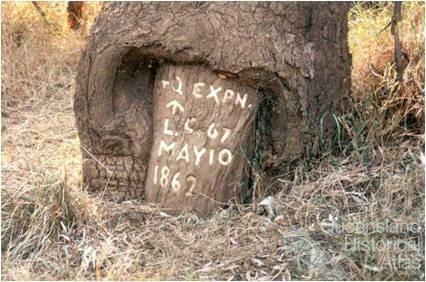 While there are other trees recorded in Queensland, only Camp 67 and 69 are known to remain on the Warrego while the blaze from Camp 66 was removed and now kept by the Queensland Museum. The location of Landsborough’s remaining trees is a mystery. While it is unlikely that they will be found, this has not prevented enthusiasts continuing the search, or at least, locals keeping an eye out along the river, where the possibility of discovery still hangs in the air.